What may, or may not, surprise many of you is that I am a traditionalist about my holidays. I celebrate Halloween the way it is meant to by the romanticized American traditions and I also celebrate Christmas the same way. 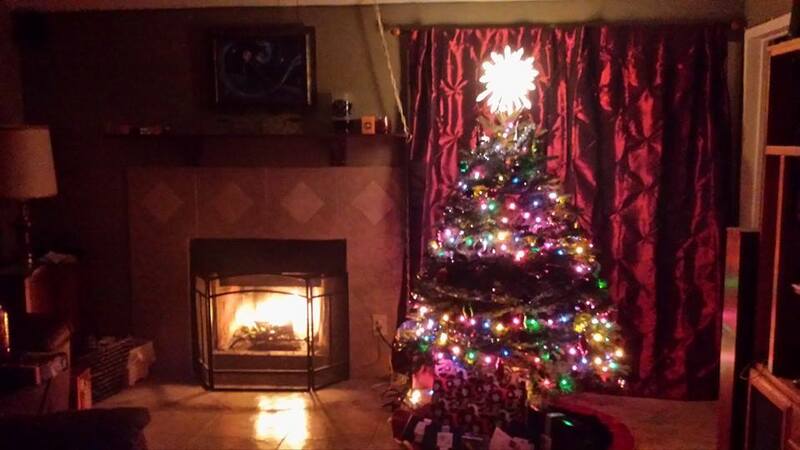 I have a real tree every year, there’s a fire in my fireplace, stockings, nut crackers, egg nog, the whole deal. It’s what I grew up with, the Rockwellian holiday. Even had a White Christmas once as I recall. Watch that every year. Watch Bing Crosby and David Bowie sing together. It really is my second favorite holiday even if it will be alone for a long time coming. The stockings were not yet hung by the fire with care. So how what do I think of a horror movie not based around Christmas, but based ON the holiday? Let’s discuss my bias for the director Michael Dougherty and his previous work Trick R Treat; which is the only other major directorial role he has. This is a loss. The man knows how to shoot a scene and build tension. He has a clear love for the holidays like I do, and takes that into the film. As one of the three writers on Krampus I can see his influences throughout as he writes in such a way to relish that what makes the holiday and simultaneously comments on the darker aspects of it as well. Todd Casey, one of the other writers, comes from a background in grown up animation with work on GI Joe Resolute, Green Lantern Emerald Knights (really good), and even the Thundercats reboot. This tells me he remembers what it was like to be a kid, the moments of joy, and laughter, and fun and knows how to bring it to screen in a way that’s appreciable by adults. The last writer is Zach Shields, a producer of The Conjuring. By their powers combined….something got pooched. Dougherty was the sole writer on Trick R Treat, so I don’t know where it went …ok. This is the story of white above middle class suburbia and that Rockwellian over produced Christmas. The story of how one well to do white collar family is visited by their obnoxious blue collar family and the loss of innocence and faith and hope from the one of the children. A child who knows Santa doesn’t exist and still wants to believe. I think I am that child some days as my two favorite holidays near. This is what went wrong; the characters literally are stereotypes, they don’t feel real. They feel like what the media tells me families like this are. Except not, the suburban family is played straight as if they have very few faults, with the blue collar family being so painfully obnoxious I was counting the moments until the carnage I anticipated coming. I wanted to watch them die. They have next to no redeeming qualities and are just so over the top it is clearly the script, not the actors at fault; it’s that bad. Conversely the suburban family does have flaws, but play much more loving and overall healthy….ish. The only thing that these families have in common is that they do love their kids; which was a pleasant surprise. I don’t consider that a spoiler as it has no bearing on the film and truth be told falls into one of those redeeming qualities mentioned before. Adam Scott (Parks and Recreation, Black Mass) plays the movie beautifully straight; so whilst I vex over the characters themselves, the actors do what they can to elevate it. Scott does his part, along with Toni Collette (Hostages, Fright Night). Emjay Anthony, as the child Max, turns a performance that could have been painful and hard to watch into something just a touch more without being unrealistic either. He’s still a kid and the part doesn’t forget that. 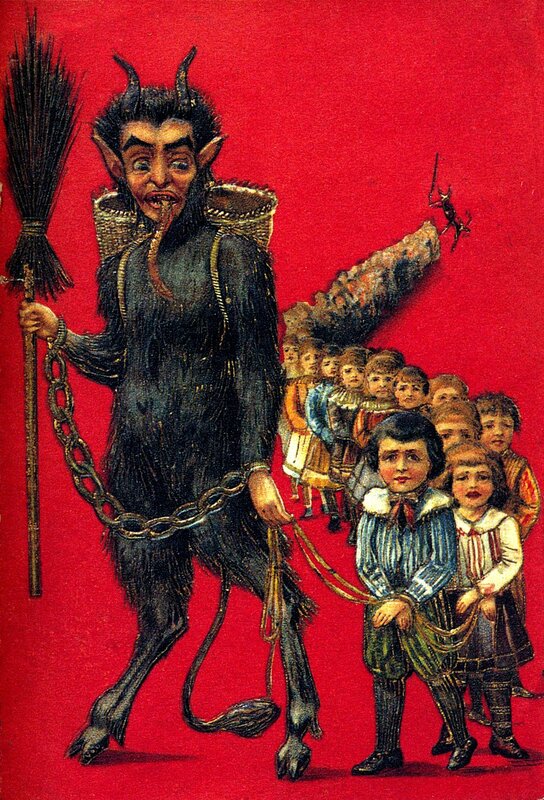 The presence of the grandmother Omi, as played by Krista Stadler whom is a veteran actor of German films and TV brings the connection to the original myth of the Krampus fairly deftly. There’s a beauty in the fact most of her dialogue is in German with subtitles. There are parts of the production that feel over produced and too clean to be real. There are some significant logic (and physics) fails a few times in the film that made my eyebrows arch and took me out of the moment; but otherwise the technicals are solid. Some poor fool over at Weta studios had to take this and make it not totally laughable. Turns out they did. He has a physical presence that time is spent to maintain. I won’t say he isn’t ridiculous looking, but with what they had to work with they did good. They made the minions kinda terrifying as well in a way I found pleasing to my aesthetic. They didn’t go for the overt gore either which was another joy. There is one scene, however, that the CG work is beyond ludicrous; but in the context of the moment I didn’t really care considering the events transpiring right then. Krampus is a fantastic holiday horror. It mocks much of how we spin modern christmas while telling us point blankly what to cherish. It does some things I didn’t expect and am glad they did. The biggest weakness is the characters themselves at times, I want to see a horror movie where I don’t wish death on the majority of the cast. The movie lacks most of the fun black humor that lived in Trick R Treat, but it does have moments where I heard the audience and myself laugh. It was pin drop silent the rest of the time as it does a good job with tension. All in all, if you are looking for some alternative fare of the horror variety, give Krampus a chance. It isn’t particularly new but does tell an old story in a modern way. I find as I talked about it I enjoyed it more than I thought I did. Also I am adding a new segment to the TL;DR; after some look back at my DVD purchases this year, or lack there of.